I have grown some interest in Alast's skin tissue lately (that sounds weird) from the nanobots challenge. While learning to use virocytes, ive come up a way to change every single individual cells into a new cell type i want, in this case ciliocytes. 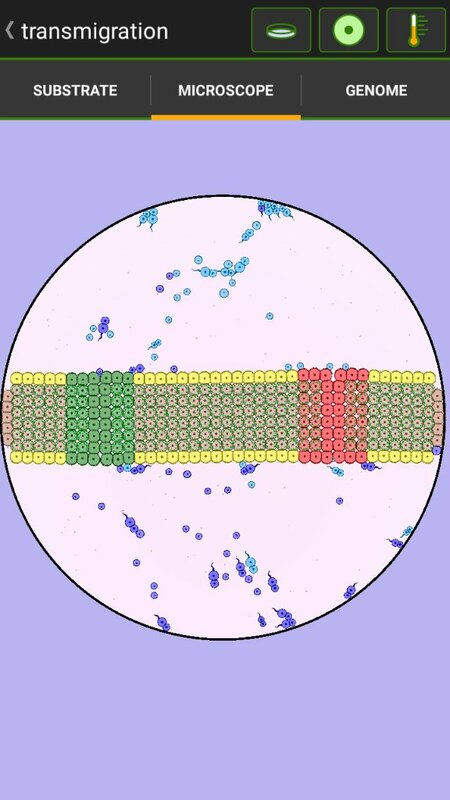 The premise here is i try to make a huge conveyor belt that can transport cells from the top of the plate to the bottom (via red channel) and vice versa (via green channel). Right now, only the red channel works and i need to change a few more cells in order for the green one to work. For the method i use to change individual cells, its kinda like solving a rubiks cube, when you do a move to solve a piece, and undo it to restore other piece. I change them in group of 2 and 4 for the center ones, which is really tedious . So if i want to make a column of "left ciliocytes" i change 2 column of photocytes into ciliocytes, and change a column of ciliocytes back into photocytes and its adjacent photocytes (you can see the colors changed). Last edited by C4pung on Mon Jun 11, 2018 4:22 pm, edited 1 time in total. Just as before, green push the cells up, red push it down, and yellow send the cells to the other channel. This make the cells cycle clockwise. Last edited by C4pung on Thu Jun 14, 2018 12:07 pm, edited 5 times in total. Same conveyor belt, in this case i will call it the membrane. The premise here is to divide the two species of dumb swimmers (light and dark blue), and only their genome can pass into the selective membrane. Last edited by C4pung on Thu Jun 14, 2018 12:09 pm, edited 4 times in total. I was thinking that you could actually turn this into a demonstration of a cell's membrane, where the surface has transport proteins, ATP syhnthase and everything. It'll be cool. And with Senseocytes behind the Ciliocytes you can make it selectively permeable by only allowing certain colors in and repelling others. Probably Stereocytes would be more effective to give it a sense of direction. Yes, as haywire said using stereocyte might be easier, but the problem is the cell will go back to the membrane because of gravity, making an endless loop. 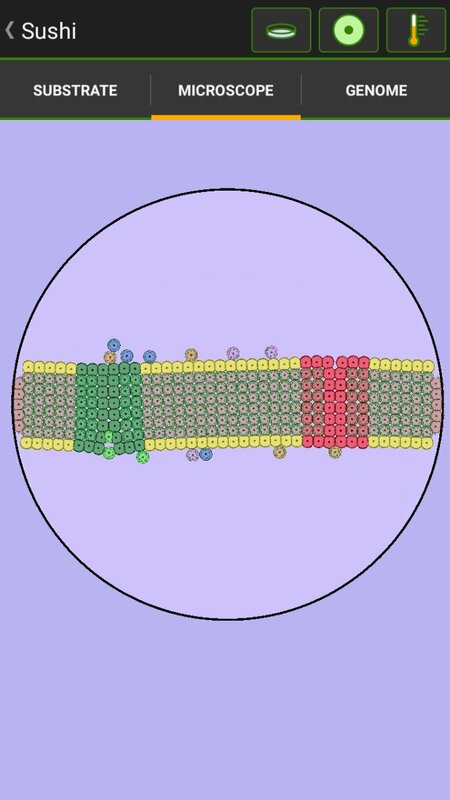 What maybe interesting (and really damn hard) is a truly selective membrane, where channel turn on and off to redirect cells based on their color. How about an inverted Y tunnel, with one path as a source of cells and two paths for the destination. A Ciliocyte would be placed on the wall that separates the two destination paths. A Stereocyte could be below it to have a more accurate 'which-is-which' decision.